Grew up in the Highland Park neighborhood of Detroit, MI. 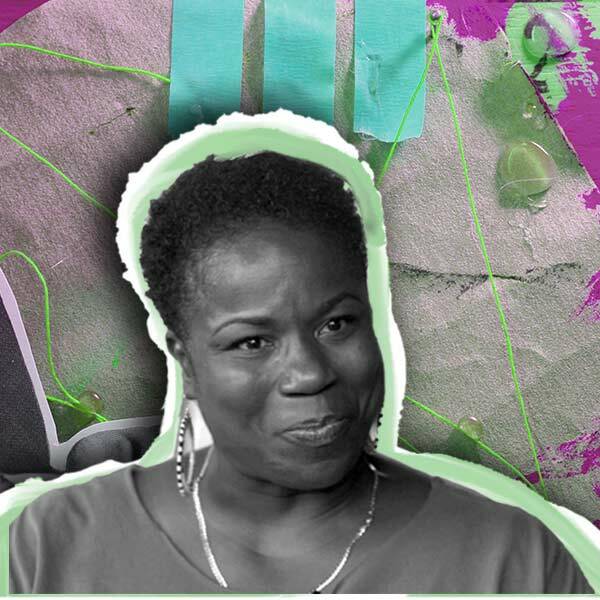 As an adult, she continued to live, work, and raise her family in the neighborhood even as it became blighted—buildings sat vacant, trash covered the streets, and crime became an increasing problem. She worked as a school administrator for 27 years and has owned small businesses within the community since 1998. In 2007, her 2-year-old son, Jakobi, was killed by a hit-and-run driver. Inspired to make the neighborhood safe for other children, she bought one of the abandoned buildings for $3,000, transformed it into her ministry, and built a park in honor of her son nearby. Spent the next decade assembling a team of engineers, futurists, artists, urban farmers, volunteers and donors from around the world to revitalize the neighborhood one lot at a time. Has received funding from Alex Ebert, lead singer of Edward Sharpe and the Magnetic Zeros, and his nonprofit, Big Sun Foundation, and Ellen DeGeneres, enabling her to work on a much larger scale. The neighborhood is now known as The Avalon Village, a sustainable ecovillage that currently sits on 20 parcels of land with after-school learning, holistic healing centers, greenhouses, and more. I am a mother and a community activist building a sustainable eco-village in Detroit, MI. I'm called the unlikely urban planner...My day is always busy and challenging. I occupy a variety of roles...I am the community organizer, the developer, the urban planner, security, social services, and so much more. I do whatever is needed of me in order to keep the Village functioning and growing on a daily basis. I also rely heavily on help. People make this all possible and my team is influential in helping to manage all of the different tasks on the property. Be an organizer and planner. Be the one who is willing to take charge and lead a project. Take part in activism and fight for causes that you care about. Just start something, no matter how small. Helping and giving back are infectious. Spread the love. Have no fear in anything that you do. No matter what you go through, have gone through, or how bad things can get, know that you can overcome it and do anything. People can look at this block and the neighborhood and be intimidated by the scale of the project. And, it is truly a lot of work. However, it is doable. I just put in the time, focus, and effort to make it work. What ended up happening is that as improvements were made, people started to see the possibilities and started helping. It became infectious. People started believing that they deserved better and were willing to work for it. My 2-year-old son was killed by a hit-and-run driver in 2007. I dedicated myself to transforming my neighborhood in his memory so other children would be safe. The neighborhood I grew up in slowly started becoming blighted over the years. I saw the buildings sit vacant and crime increased. I started fixing up the neighborhood one building at a time so future generations could enjoy living here. Money isn't given to neighborhoods like this...I bought the first abandoned building in the village for $3000 and spent the next decade working on the neighborhood bit by bit. I have had to get funding from outside sources like foundations, etc.